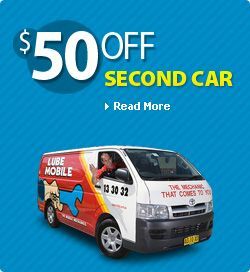 If you’re looking for a flexible, convenient and reliable solution to maintaining your Subaru’s service history then contact Lube Mobile today. We’ll arrange for a mobile mechanic to arrive direct to your door ready and equipped to perform a range of Subaru Car Service options depending upon your model and requirements. Our affordable and convenient fixed priced service range mean you’ll be able to select when and where your Subaru is serviced, but also how much it’ll cost ahead of time - you can even do this service pricing online. All services are also quoted in writing before work begins. Have your late-model Subaru Outback serviced as per the book by a fully qualified technician able to stamp your Log-Book without affecting your manufacturer’s statutory warranty. Our technicians are experienced across and familiar with a range of Subaru models including the Impreza, WRX, Liberty and Forester. We use only quality parts that meet or exceed manufacturer specs and ensure only the highest quality oils and fluids are used. Want to build your own? Call us and we can tailor a service to suit you and your Subarus needs. Subaru Repairs - we do most repairs on-site at a time an place to suit you. Either with your service or seperately - still a convenient way to look after your car. Timing Belts and Kits, Water Pumps and clutches can be quite common on Subarus. We do hundreds of these a week and can help you fast. 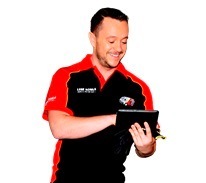 Call us today on 13 30 32 to organise your next service at your house, your office or wherever your Subaru happens to be. Or, using our online booking process available 24/7, you can have your mechanic, arrival time and location booked within a matter of moments and your Subaru same or next-day service taken care of - simple as that. Sit back and relax. Had never used Lube Mobile before and did as a matter of convenience - I was not disappointed. The mechanic (Chris) was excellent across all fronts - and even though my service turned into a much bigger job he was more than happy to accommodate my needs. Couldn't be happier and will be specifically requesting the same mechanic for my next service. Thank you. I was very impressed with my mechanic Shaun's intuition in welding a placement for the new style of fuel pump rather than simply purchasing a new placement. Lube Mobile was outstanding in their care of my vehicle. The mechanic didn't have good news for me about the problem with my car but he performed a minor miracle to get it back on the road within 2 days - going beyond the call of duty to get me mobile again. His professionalism and accuracy in diagnosing what was wrong with my car was truly impressive and I am extremely grateful to him and to Lube Mobile. Thank you from the bottom of my heart! Will always use Lube Mobile on both cars. Top mechanic. My air conditioning is working properly for the first time. I liked the statement: I'll look after your car as if it was my own. Thank You.